Earlier this month, a New York judge denied Kesha of a court injunction that would have allowed her to leave her contract with Sony Music and stop working with her allegedly abusive producer Dr. Luke. In 2014, Kesha filed a lawsuit against Sony and Dr. Luke, asking to void her contract and citing 10 years’ worth of sexual, emotional, verbal and physical abuse. The suit culminated into the decision on February 19, meaning essentially that Kesha is stuck in the contract and won’t be able to make music with anyone outside of Sony. When first hearing this news, my first response was one I had experienced all too often in the last so many years: I’m so disappointed but I’m really not surprised. I’ve become conditioned to expect people not to believe a woman in crisis, not to help and support but to chastise and condemn. I closed my laptop and tried to erase the image of Kesha crying in the courtroom from my memory. Then a hashtag appeared, as per usual of internet outcry. #FreeKesha is a signpost of support and awareness and in the weeks following the decision, Kesha’s situation has bubbled into a dissection of those who have shown whose side they’re on and those who have not. Celebrity after celebrity has tweeted, posted, made a statement all in the spirit of awareness and proven that Kesha is not alone in this. Taylor Swift has pledged $250,000 and a fan started a GoFundMe to buy out Kesha’s $2 million Sony contract; as of Feb. 27, it had raised $22,850 in eight days. All of this hubbub is nothing new; we latch on to causes and hashtags with the same zeal that we rush to clearance racks and holiday-themed lattes. They are fleeting, but they feel vital. 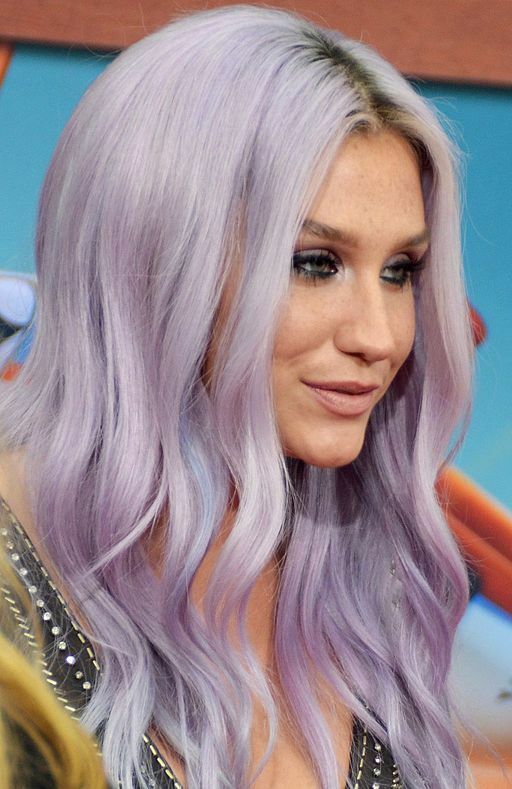 As #FreeKesha lives out its trending status, we have to remember that it is exactly that: a trend. A temporary blip in our consciousness and that, unfortunately, in a few weeks something else will inevitably ensnare our attention spans. As I recount the rise and fall of other recent hashtag-tivism, I immediately recognize the anomaly of #BlackLivesMatter. Somehow, this one has stuck. We didn’t forget the tragedies of Trayvon Martin or Michael Brown or Sandra Bland — these names now are as socially recognizable as any celebrity’s. #BlackLivesMatter, founded by three women (Patrisse Cullors, Opal Tometi and Alicia Garza) in 2012, affirms on its website that “this is not a moment, but a movement.” That’s the difference — they acknowledge the ephemeral quality of other internet causes and they seek to combat it. And this is the spirit that something like #FreeKesha needs to adopt if women want to have any major institutional changes implemented. To say that this problem is bigger than Kesha wouldn’t be a shocking declaration. It’s just a fact that even that random girl from high school has discussed in her most recent Facebook statuses. Kesha is the victim of an incredibly sexist music industry — hell, a sexist entertainment industry — that just reflects the ingrained sexism of our culture. It’s 2016 and we still don’t believe it when a woman says a man abused her. And it’s because men are in charge of the institutions that dictate belief: the courthouses, the corporations, the congresses. It’s a system that inherently puts women at a disadvantage, unable to advance or find equality. Again, none of this is anything new or revolutionary; to refute the gender gap in every aspect of modern society is to be in denial of your own privilege. This all feels so familiar. Where else have we recently learned from and felt the insurgent spirit of an underprivileged, discriminated portion of the population? And here we return to #BlackLivesMatter. Women and Black America are fighting similar battles: a culture that continues to push them down and silence them. That kills and abuses and then asks for forgiveness. That doesn’t want them to feel the strength and freedom that a white man can feel without even trying. Equality doesn’t need to be a competition; promoting gender equality doesn’t need to distract from racial equality and vice versa. If anything, they can work together — in the same spirit of the 1960s and 70s when women’s liberation and Civil Rights collided and created a tsunami and socio-cultural progress. We have the energy and tools to bring that storm to the 21st century; the only thing we’re lacking is the greater awareness of how to transform change from an idea into an action. Think back to your thirteen-year-old self. You were caught up in a flurry of AIM messages and hair extensions and neon rubber bands for your braces. If I were to tell you that by 2016, Rihanna, Lady Gaga and Kesha had all reported physical and/or sexual abuse, you would have surely been in disbelief. These women were our heroes, more or less, the women pop culture told us had talent and life and a superstar spirit that transcended generations and artistic norms. They were the forefront of pop music, setting a new bar for what was fun and inspiring and cool. And in time, they would all be victims. In the eight years or so since that awkward but endearing era of middle school, we have evolved from young people convinced we’re older and more mature than we actually were, to sort of old people who can’t comprehend the tragedies and discrimination that have curtailed our thriving youth. Now, it’s just a matter of fully immersing ourselves in this adult world of responsibility and agency — and do something real about it.